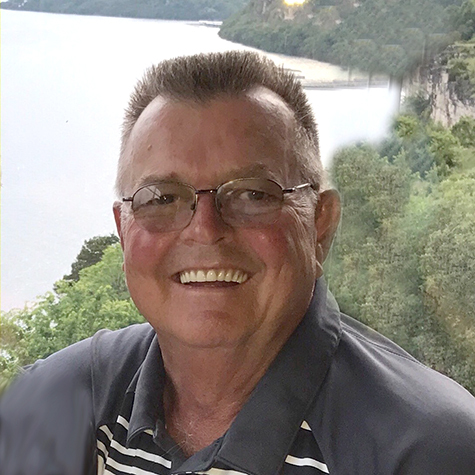 Martin “Marty” John Cline, 67, of Moorhead, Iowa died Thursday, August 30, 2018 at his residence in Moorhead, Iowa. Funeral services will be 10:30 A.M. Tuesday, September 4, 2018 at the Moorhead Christian Church in Moorhead, Iowa with Pastor John Eilers, officiating. Burial will be in Spring Valley Cemetery, rural Moorhead, Iowa with military honors provided by the United States Navy and the David McNeill American Legion Post #129 of Onawa, Iowa. Visitation will be 5:00 to 8:00 P.M. Monday, September 3, 2018 at the church. Arrangements are under the direction of Rush Family Care Service, Onawa, Iowa. Martin “Marty” John Cline was born September 24, 1950 in Dunlap, Iowa the son of Wray and Marie (Rogers) Cline. He grew up in Dunlap where he graduated from Dunlap High School. During high school, he worked for Fritz Baldwin in Dunlap and worked shoe shining, making popcorn, and setting racks at the pool hall. Marty enlisted in the United States Navy on March 4, 1969 and served three tours in Vietnam. He received the National Defense Service Medal, Republic of Vietnam Campaign Medal, and the Vietnam Service Medal with Two Bronze Stars. He was honorably discharged on Feb 18, 1971. Marty and Rhonda Jane Hansen were united in marriage on July 31, 1971 and to this union three daughters were born, Niki-1972, Jewel-1974, and Mindy-1979. Rhonda passed away on June 26, 1993. It was dad and the girls until September 1994 when he met Evie Wolf and they were united in marriage on February 18, 1995 and they enjoyed twenty-three years of marriage together. Marty worked for several years at Farmland in Denison, Iowa, managed the Soldier Co-op, and cut meat at Determan’s Grocery Store in Moorhead. He later went to Sioux Empire College in Hawarden, Iowa after his military service. In 1981, Marty started working as a banker for Moorhead State Bank in Moorhead. The bank changed to United Bank of Iowa where he retired in 2012 after many years of dedicated work. Marty enjoyed fishing, attending grandchildren’s sporting events, swimming, playing cards, and spending time at the farm with Lois and Ray Hoffman. Marty drove a 1968 silver Dodge Super Bee when he got out of the service and said “I always ran out of gas money driving it”. His loving heart, humor, and compassion will certainly be missed by his family and friends. Marty was an active member of the Moorhead Christian Church where he was a Deacon and served on the church board. He was also a member of the Peter A. Hansen American Legion Post #365 of Moorhead, Iowa. Marty served on the Moorhead Fire and Rescue unit for many years. Survivors include his wife, Evie Cline of Moorhead, IA; his children, Niki (Matt) Frerichs of Omaha, NE, Jewel (Chad) Nickolisen of Omaha, NE, and Mindy (Jade) Nuzum of Omaha, NE; grandchildren, Emma Frerichs, Chloe Nickolisen, Sydney Frerichs, Nick Frerichs, Jada Nuzum, Jack Nickolisen, and Noah Nuzum; mother-in-law, Bernadine Hansen; his siblings, Ruth (Curt) Cooney, Rich (Cathy) Cline, Rosie (Stan) Ambrose, and Joyce (Lenny) Kramer; sisters-in-law, Mitz Cline, Barb Triplett, and Muriel (Roger) Koedam; and numerous nieces, nephews, cousins, other relatives, and many friends. He was preceded in death by his parents, Wray and Marie Cline; wife, Rhonda (Hansen) Cline; father-in-law, Juhl Hansen; siblings, Myrna (Duane) Melby, Tom (Frankie) Cline, and William Cline; parents-in-law, Judson and Kathryn Wolf; and brother-in-law, Rodney Hansen. Memorials may be directed in Marty’s memory to Burgess Hospice, Moorhead Christian Church, or Moorhead Fire and Rescue.